Note: A minimum quantity of 90 must be ordered, and in units of 5 thereafter. 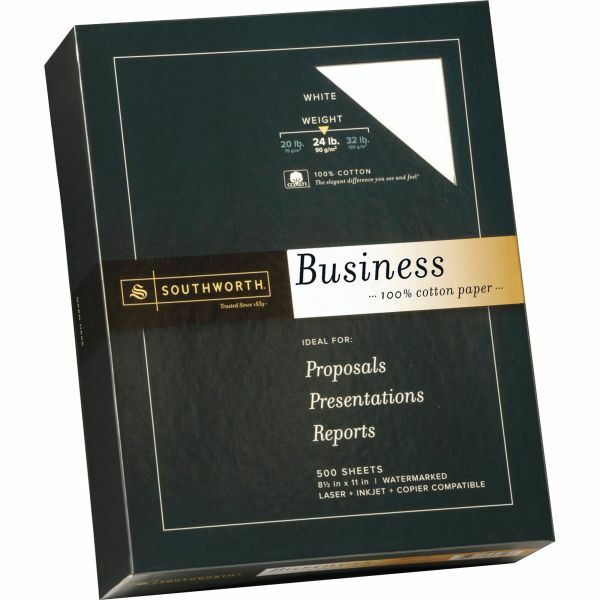 Southworth 100% Cotton Fine Business Paper - Archival-quality business paper is ideal for legal documents, letterheads and resumes. Design features 100 percent cotton fiber, watermarking and date-coded for authentication. Each sheet is acid-free and lignin-free. Medium-weight premium paper provides superb print quality in inkjet and laser printers as well as copiers.